Catherine Gund (as Catherine Saalfield) documented the AIDS crisis and ACT UP/NY activities from 1987 - 1992. 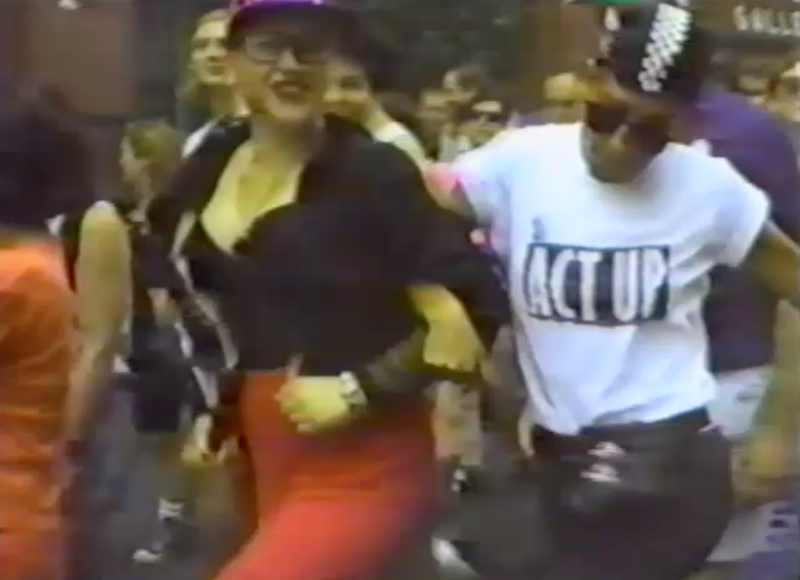 She collected candid footage of the Montreal AIDS conference; ACT UP protests and lectures including the Kiss-In at St. Vincent's Hosptal in 1989 and the Target Bush protest of 1991; as well as AIDS activist videos produced during the time period. Her footage has been featured a number of critcally-acclaimed documentaries including in Koch (2012); How to Survive a Plague (2012); United in Anger (2012); and We Were Here. A full list of this archive is available at the New York Public Library. Contact the NYPL for screening and distribution options.